I have most excellent neighbours – I really do. I always knew this, but the past few months has really proven this; the care they have shown the girls and I, as well as my extended family, has been astronomical to say the least. In fact I don’t have enough words to describe the help they have given us and the kindness they have shown us. One of my neighbours is Sam. Amongst other things, Sam is a baker of cakes for grieving neighbours and fetes (cakes that come to me are often accompanied by icecream made by her husband – most excellent). Sam is involved in this years Story Arts Festival Ipswich and her dance workshop can be found here. 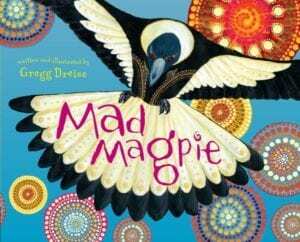 Coincidentally, the author of ‘Kookoo Kookaburra’ will also be at Story Arts this year – details below). Sam regularly reviews books for me, her last post on bees is an extremely popular post. Review by Dr Sam Lloyd. For more of her reviews see here. Sam is also running FREE dance workshops at Story Arts Festival Ipswich – bookings here. Click on cover image or title links to purchase books. When I was in year 6 in Sydney, I had this brilliant teacher called Mrs Berryman. 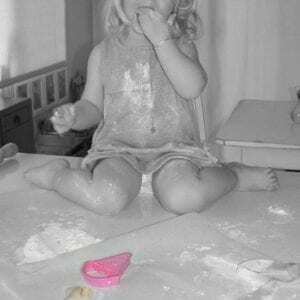 She was new at the school, having recently arrived from working in Alice Springs with indigenous children and families. Every Friday, Mrs Berryman would tell us these incredible stories about what life was like for these children, often living in very remote communities. 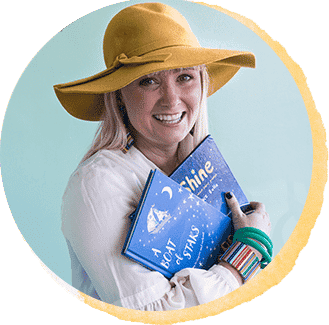 We were worlds apart and I am sure some of the children in class didn’t believe her when she relayed some of the stark differences – I was completely enthralled – I certainly loved the idea of having class outside and camping in the bush. She also told us some terrific Dreamtime stories and sparked in me a love of indigenous stories, which I have passed onto my children. 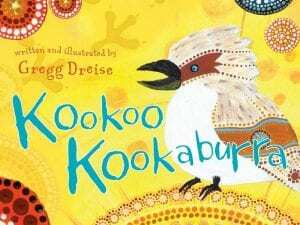 ‘Kookoo Kookaburra’ is a story from the Dreamtime about Kookoo the kookaburra, kindness and the importance of thinking about how your actions will affect others. Kookoo is a great storyteller, he loves to sit in his favourite tree and wait for an animal to do something silly, then laugh and retell the story to the other animals. 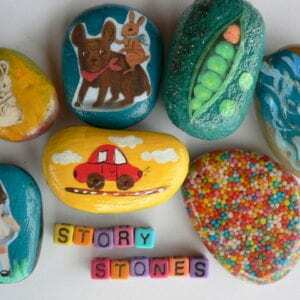 Generally these stories are funny and the bush animals love to hear them. However, one day, without a funny story to tell, Kookoo himself makes a very silly decision – he decides to make fun of the differences between the animals. As we all know, these sort of comparisons are rarely funny and more often make people (and animals) feel bad about themselves, which is what happened. The rest of the story centres around Kookoo’s journey to realising his mistake, the value of friendship, the importance of listening to his Elders and thinking about the feelings of others. My favourite part of the story is the wise words from Kookoo’s Elder, Uncle Googaguga “You have two eyes; you have two ears; you only have one mouth – look and listen twice as much as you speak” – what thoughtful and sage advice. The illustrations are beautiful and tell the story as much as the words. My son and I both love the illustrations of the recurring boomerang of kindness and especially the illustrations that show the kookaburra with his wings in flight. A note about kookaburras: Kookaburras are members of the kingfisher family and native to Australia and Papua New Guinea. Australia has two of the four species, and I assume Kookoo the kookaburra is a laughing kookaburra (Dacelo novaeguineae), as opposed to the northern blue-winged kookaburra (Dacelo leachii). Kookaburras are such a beautiful and iconic Australian bush animal, they mate for life and older siblings from previous seasons will remain with their parents to help rear new clutches for up to three years. The laughing call that we are all familiar with is a way of declaring their territory, whereas the “chuckle” can both be for declaring territory as well as finding family members. For more information on kookaburras or other birds visit this terrific website. Greg has written two other books in this series. Click on the cover images to purchase. 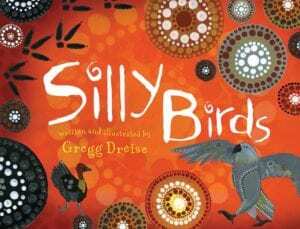 Greg’s website is here, and he will be appearing at the Story Arts Festival on Saturday, September 9 from 11.30 to midday at D’Arcy Doyle Place. For more information about the Festival, visit the website.